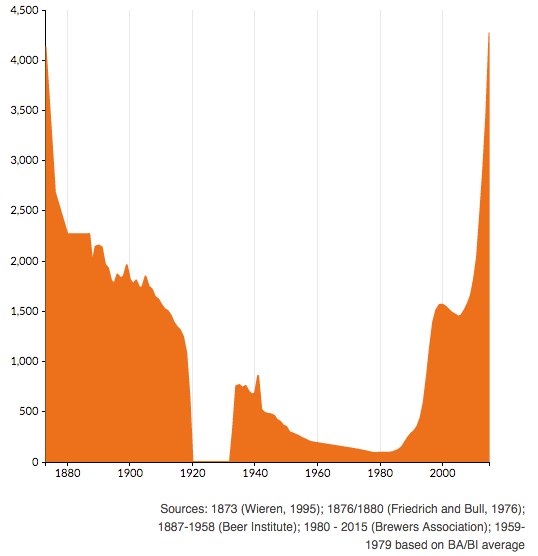 Number of breweries per year. A reseller specializing in Hermès handbags, Privé Porter is on track to sell $24 million of the purses this year, Mr. Berk says. About 90% of his inventory is sold via Instagram, and 60% goes to Asian and Middle Eastern customers. There is a reason he deals almost exclusively in Hermès. It is the brand most likely to command investment-worthy obsessions. In his experience, “no one is kicking down the door for Chanel,” Mr. Berk says. This entry was posted in Series, Things I Learned this Week and tagged culture, economics, fashion, food, gin, lessons, social science, space on 2016/04/20 by Jason.